New study: Tweets about Ebola came from Nigeria 3 to 7 days before an official announcement. 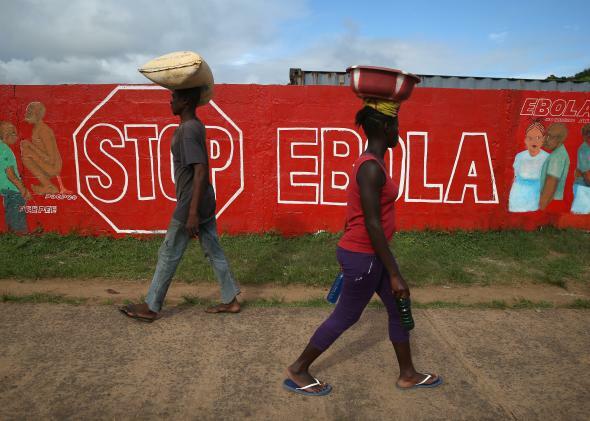 An Ebola awareness mural in Monrovia, Liberia, in October 2014. Twitter data can be used in economic predictions and flu trackers, and new research shows that it could have even been used to get a jump on last year’s Ebola epidemic in West Africa (which continues in Sierra Leone and Guinea). Researchers from Columbia University School of Nursing analyzed 16,499 Ebola-related tweets sent from July 24, 2014, to Aug. 1, 2014. They found that Twitter users in Nigeria were talking about Ebola three to seven days before health officials started making public announcements about the first suspected patient. In 2013, researchers at Northwestern used Twitter data to try to track cancer, and the social network’s usefulness for flu tracking has been studied for years now. Between all the quips and links, tweets could help give public health officials a heads up about burgeoning epidemics if they have tools for spotting the trends.